Pink diamonds represent only one tenth of one percent (.0001) of all mined diamonds. Pinks can wholesale for $25,000 to $40,000 per carat. “That’s the pricing that pinks can fetch,” says savvy Jordan Fine, one of the world’s foremost experts on natural color diamonds, and president of JFINE, a boutique firm in Rockefeller Center specializing in jewelry made with pink diamonds. This year the Pink Star diamond sold at auction for over $70 million. 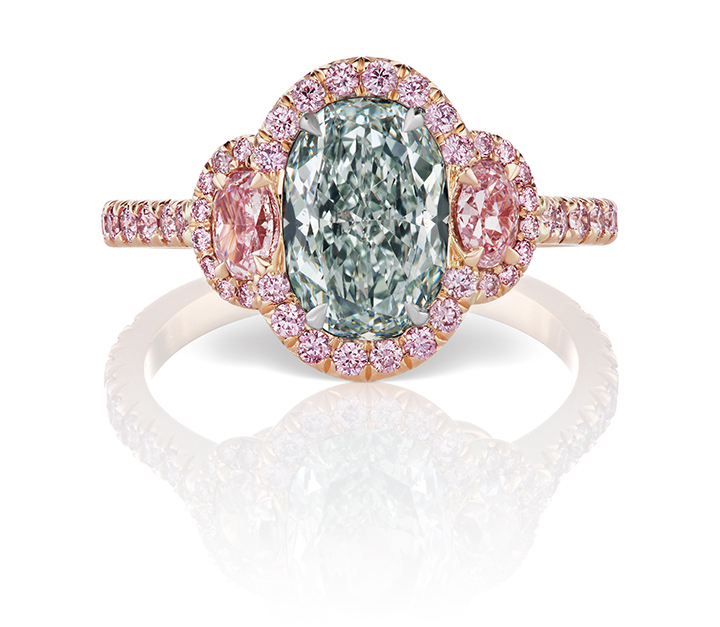 Consumers have become more aware of color stones, in part because of celebrities like Jennifer Lopez, who received a 6-carat pink diamond during her ill-fated engagement to Ben Affleck. J.Lo mended her broken heart later with a 14-carat blue diamond from her ex-husband Marc Anthony. Perhaps, her current beau, Alex Rodriguez, will buy her the Pink Star. Uma Thurman and Adriana Lima are among the fans of jewelry by JFINE. The JFINE line is sold in NYC and the Hamptons at London Jewelers. “Now that we’re making jewelry with pink diamonds in them, a lot more people are adopting it for bridal, for special gifts, and for anniversaries,” Fine says.